By David Skolnick | February 10, 2018 at 12:10a.m. 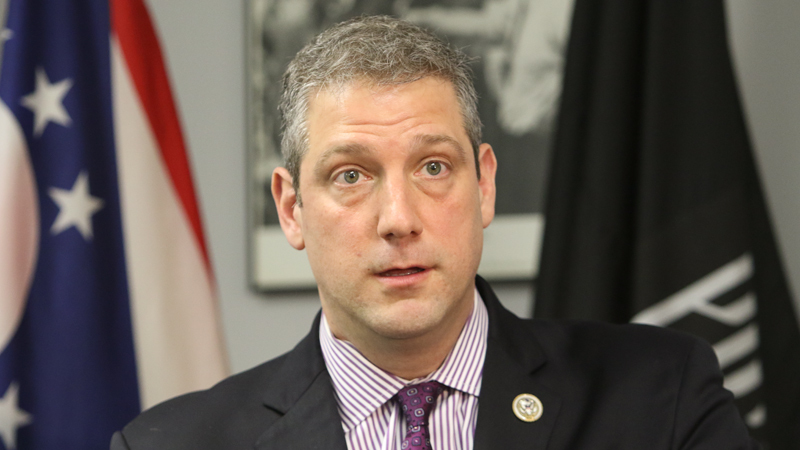 U.S. Rep. Tim Ryan said he hopes the approval of a budget agreement is the first step toward a more bipartisan approach in Congress. The bill passed in the House 240-186 with 73 Democrats voting in favor of it. The bill includes $20 billion toward infrastructure initiatives, $6 billion to fight the opioid epidemic and fund mental-health initiatives, $4 bill to repair and rebuild veterans’ health clinics, a 10-year extension on the Children’s Health Insurance Program [CHIP] and a special committee established to tackle pension solvency. Ryan said he wasn’t pleased that Republican leadership refused to bring a DREAM [Development, Relief and Education for Alien Minor] Act to the floor, which would grant legal status to certain undocumented immigrants brought to the country as children. But Ryan said he’s hopeful that immigration issues can be resolved. Ryan called on President Donald Trump to work with Congress to come up with a solution to better border security and a path to citizenship. Rather than give in to the House Freedom Caucus, a group of about 40 of the most conservative Republican members, GOP leadership should work with Democrats to get legislation approved, Ryan said. If Democrats didn’t back the budget bill, House Speaker Paul Ryan would have had to compromise with the Freedom Caucus, Ryan said. “To get those votes, he would have had to gut the opioid spending, gut the military spending, the health care spending,” he said. October 27, 2016 12:05 a.m.